Swimming has always been an excellent activity for overall health. Swimming stimulates chemicals in the brain, and affects neurotransmitters, releasing stress-reducing hormones and endorphins. That’s why the majority of people hop out of the pool feeling healthier and happier than when they got in. When kids first start lessons, they are taught about the rules and the consequences of breaking them. They are also shown how to follow instructions, as they learn how to kick, paddle, and breathe out under the water. In group swimming lessons, kids have the opportunity to interact with other children and with their instructor. Learning to take turns, share equipment and attention, and respect the different personalities in the group is a great way for children to socialize. As they learn, they are also forming friendships with other children. Li’l Dippers: A learn-to-swim program designed to introduce children to the water in a fun, safe and supportive environment. This swim program is comprised of a number of levels, each being evaluated separately. 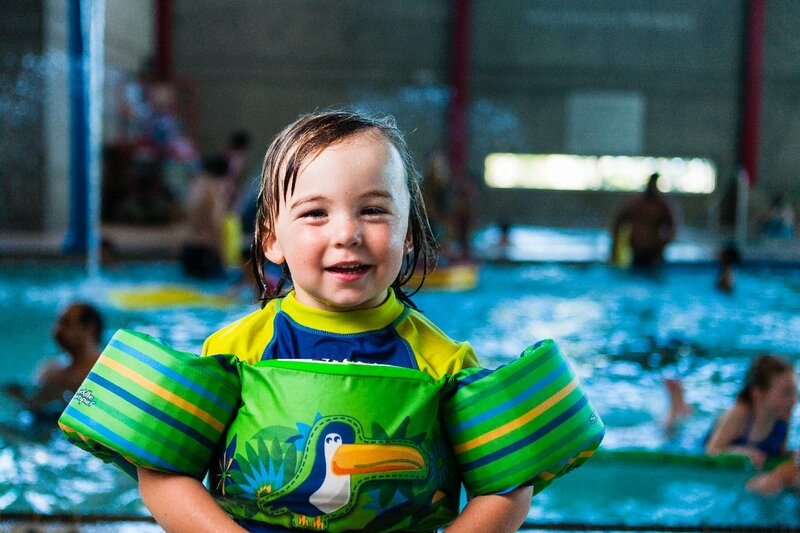 SPLASHER (Infant–18 months, parent-assisted): Skills—Introduces parent and child to a positive aquatic environment where they can have fun and get comfortable being in the water. BUBBLER (18 months–3 years, parent-assisted): Skills—More familiarity with the pool environment and the instructor, play with other children, some pool safety rules. BOBBER (3–5 years, parent-assisted): Skills—Exploration of the aquatic environment, group activity, jumping from the pool deck. Lessening of air in water wings is introduced. FLOATER (3–5 years, parent-assisted): Skills—Movement towards water independence with basic swimming techniques, blowing bubbles, putting face in water and more submersion. Air in water wings is further decreased. GLIDER (3–5 years, parent-assisted): Skills—Introduction to breath control, front and back float. Water wings are used occasionally (if at all). DIVER (3–5 years, parent-assisted): Skills—Proper inhalation and prolonged submersion, under water swimming with assistance when required. No water wings are used. SURFER (3–5 years): Skills—Enhanced swim techniques and improved endurance, jumping from poolside with little or no assistance. Swimming under water with little or no assistance. More glides and kicking are introduced. LEARN TO SWIM PROGRAM: This program introduces school-age children to the new and exciting world of aquatics. The YMCA Learn to Swim program is a 4 level instructional program that introduces a series of easy to learn skills to the non-swimmer. Each of the skill levels builds upon the preceding level. Successful completion of the four level progressions indicates that the learner is capable of performing a variety of skills in shallow and deep water, including the front and back crawl stroke. Otter: Skills: Submersion and gliding, back glides, front glides and side glides, face in water blowing bubbles, following rules, jumping in. Seal: Skills: kicking and rolling, submersion of whole body for 5 seconds, gliding and rolling to the sides, deep water activities. Dolphin: Skills: swimming under water, vertical kicking in deep water, glides with kicking and rolling, sculling, kneeling dives, swim in clothes, and lots more! Swimmer: Skills: underwater swimming, front crawl initial standard, back crawl initial standard, sculling, bobbing in deep water, water polo skills, water safety, swim in clothes, treading water. 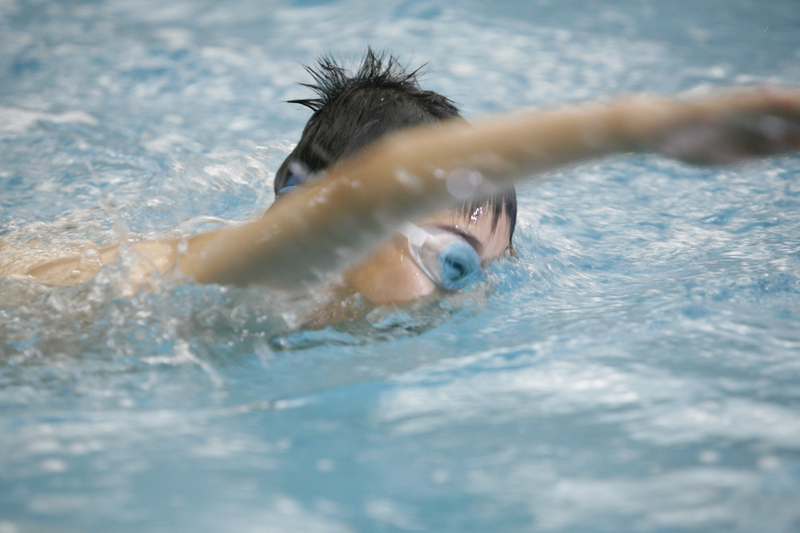 This program introduces the swimmer to a wide variety of swimming and water activity skills. For the purpose of developing individuals, the Star Program improves swimming ability, furthers water sport and safety skills and develops endurance and new strokes. Star 1: Skills: Front and back crawl initial standard (part 2), elementary back stroke initial standard (whipkick on back), egg beater introduced, swim of 75 metres. Star 2: Skills: Front and back crawl intermediate standard, breaststroke initial standard (whipkick on front), distance swim of 100 metres and more. Star 3: Skills: Front and back crawl advanced standard, elementary backstroke intermediate standard, distance swim of 200 metres, egg beater, dolphin kick and more. Star 4: Skills: Breast stroke intermediate standard, side stroke initial standard, Rookie H20 proficiency, 350m endurance swim, teaching about floating component added. This 1 hour program includes Stars 5-7 and introduces swimmers to beginner lifesaving skills, endurance swimming, synchro skills and water polo skills. Learning to assist with a lesson and a lifeguard. Rookie and ranger first aid. This is a good stepping stone to move on to Bronze Medallion and further your lifesaving skills. Must be 10 to register for Star 5 and 6. Must be 12 to register for star 7. Classes are 1 hour in length. Advanced Star classes are geared toward creating young leaders in every aspect of aquatics. STAR 5: Skills—Rookie first aid, beginner lifesaving, positive teaching techniques, create and teach a game, advanced breast stroke, intermediate side stroke, Water safety of choice. Aquatic fitness moves in deep water and shallow water. STAR 6: Skills— Advanced Strokes, intermediate butterfly and advanced sidestroke, synchro and water polo skills, Ranger first aid, progressions for swim lessons and learning how to teach others, demonstrate an aquatic fitness routine, and more! STAR 7: Skills–endurance challenge of 800 or 1000 meters. 400 meter timed swim in 12:00 or less. water polo, synchro, aquatic fitness, assist a swim instructor for 4 hours, assist a lifeguard for 4 hours, Star first aid, and some lifesaving. These classes are the pre requisites to the lifeguard and instructor courses. You do not have to have Star 6 to take this class. Good swimming ability is a must. Classes are 1.5 hours in length. Students need both of these to take either course. They consist of lifesaving skills, first aid skills and fitness. Students must be 13 to take Bronze Medallion. Students must be 14 to take Bronze Cross. Bronze Medallion must be taken before Bronze Cross. Birth certificate must be presented at time of registration. PRIVATE SWIM LESSONS: This is for people who are not ready to be in group lessons or who want the attention of one instructor. Program runs 5 weeks. Sessions are 30 minutes in length. Please note: the pool can possibly be occupied with up to three other private lessons taking place at the same time.